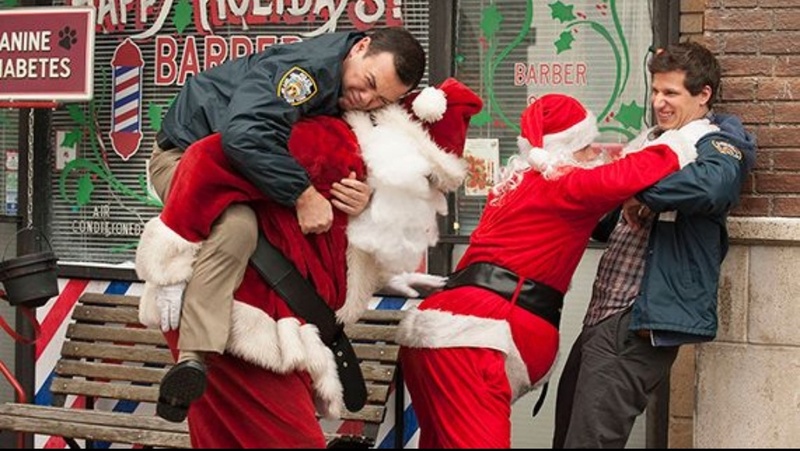 giáng sinh fight. . HD Wallpaper and background images in the Brooklyn Nine-Nine club tagged: photo brooklyn nine-nine season 1 christmas jake charles santa fight. Jake and Amy's Big ngày from "The Bet"